CAT 2018 was conducted on 25th November 2018 in two sessions. CF Patna presents the analysis of the Forenoon Session. CAT 2018 evoked a mixed response from aspirants. Some of them said it was ‘as expected’ and some said, ‘it was difficult than other years’. 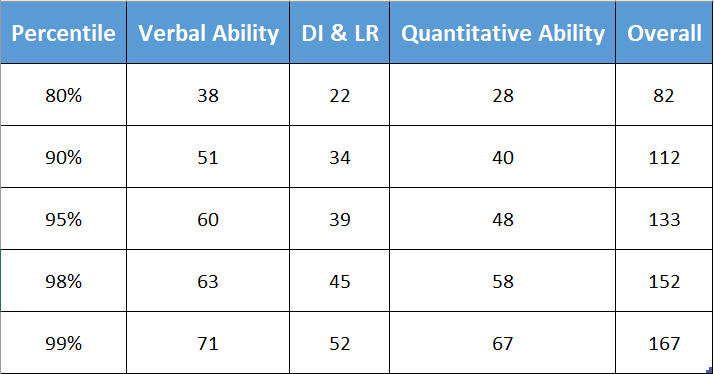 The Major reason for this mixed response was that the QA section was a little difficult than expected but the LR/DI section was a notch lower than expected. VA was the section that brought a smile to everyone though the passages were lengthier than before. CAT 2018 as announced and expected had 3 sections comprising of 100 Questions. The First section comprised of Verbal Ability & Reading Comprehension and had 34 Questions. The Second section comprised of Data Interpretation & Logical Reasoning and had 32 Questions. The Third section comprised of Quantitative Ability and had 34 Questions. This section contained 24 RC questions and 10 other questions. There were 5 reading comprehension passages containing 24 questions split in 4 RCs containing 5 questions each and 1 RC containing 4 Questions. The RCs were lengthier than before but the topics were simple and the option choices were not that close. The RCs were mainly from History, Biology, Environment, Economic Growth and animal and human behavior. The questions were of Main Idea, Inference based, Contextual based and Students of Cf Patna would have had no difficulty working on them as they have practiced all that in class. The Non-RC section was on the simpler side and had 10 questions comprising of Para Jumbles, Summary & out of the context questions. Para Jumbles were a touch easier as they had only 4 sentences unlike CAT 2017 which had 5 sentences and were non MCQ i.e. Key in questions as were the out of context questions. Overall, the level of difficulty was easy to moderate and an attempt of around 26-29 with 85% accuracy would classify as a good score in this section. With the level of difficulty of this section increasing every year, the test takers were aware of the challenges of this section. Interestingly, the section was a little easier than the previous years. There were 8 sets with 4 questions each. There were 3 sets of traditional LR and 1 set of traditional DI. The rest questions were of the new age era. The pipeline set of LR and the 4-category set theory were indeed difficult but the other questions were of easy to moderate difficulty level. This section was the major surprise factor this year. As against the previous years, this was relatively difficult or we may term confusing. There were a lot of questions from Geometry and Logarithm. 10 to be precise. The questions needed to be read and understood before attempting and that resulted in many test takers skipping some ‘Doable” questions. There were 6 questions from Arithmetic involving questions of Time, Speed, Distance and Time and Work. 3 questions from number system and the rest from set theory, functions, average etc. Overall, 23 attempts with 85% accuracy would be classified as a good job. Overall, we can say that the paper was balanced and the aggregate score required for 99%ile would be higher by some marks this year as compared to CAT 2017. Wishing all best to the CAT 2018 aspirants as they wait for their results and Good Luck for the other exams. NEXT POST Next post: What after CAT?